Novartis is on the move in the UK, relocating its national headquarters from Frimley in Surrey to London to get closer to the capital’s emerging life sciences cluster. The new home for the Swiss pharma giant’s 600 or so HQ staff will be the WestWorks building on the White City Place campus, within the UK’s ‘golden triangle’ bioscience hub that extends between London, Oxford and Cambridge. Novartis will take up residence on the second floor of the building, initially occupying 54,000 sq. ft. of space from next March – with the option to expand further to 65,000 sq. ft – and according to the company intends to move in by January 2020. 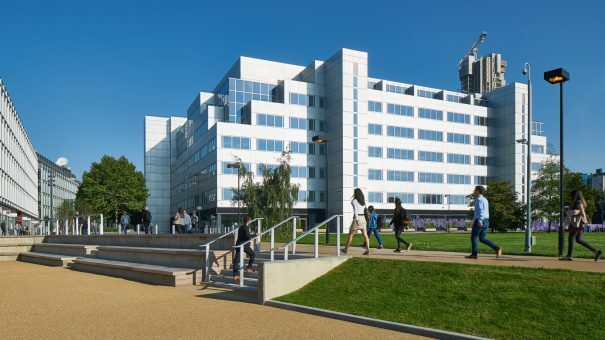 It’s no coincidence that White City is also the location of Imperial College London’s new research campus, which houses the university’s molecular sciences and biomedical engineering research units, as well as its school of public health. Life sciences companies already on the site include T-cell therapy specialist Autolus and Synthace, a laboratory software company, and the site’s operators have said they expect to welcome additional companies in the coming months. It is also home to a number of technology companies – playing into Novartis chief executive Vas Narasimhan’s vision of pharma working at the intersection between traditional biosciences and emerging data and digital tools such as artificial intelligence, telemedicine and quantum computing. News of the HQ relocation comes after Novartis said it would slash more than 2,000 jobs from its workforce, mainly from Switzerland but including hundreds of positions in the UK, to boost its profitability. The reductions are the latest in a series of measures stemming from a 2016 restructuring that aims to trim $1 billion off Novartis’ annual costs.